Prototyping an idea I had earlier today on brainwave triggered special abilities (see Lin Chung Combat post for background). Fine tuning the mechanic is bloody difficult when your sleep deprived. 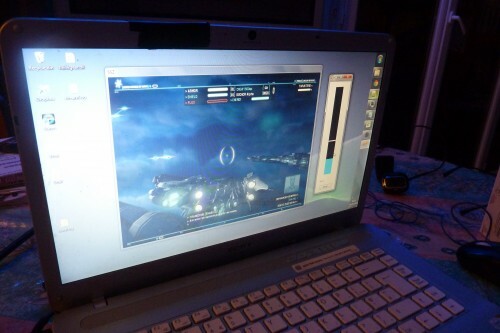 Lin Chung Combat is a Flash based BCI game developed by Moonscoop*. 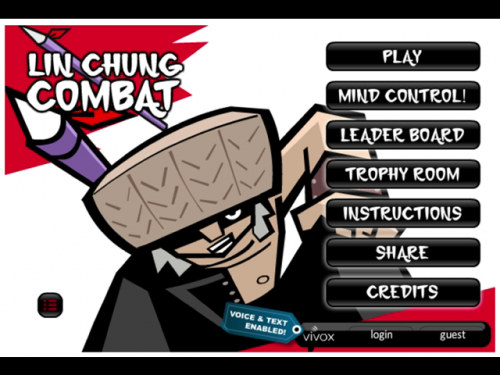 Lin Chung Combat is a rhythm game, similar in style to Dance Dance Revolution, which incorporates a neurofeedback game mechanic. Players are tasked with pressing certain arrow keys when they scroll over the horizontal black bar at the top of the game interface. Points are awarded when the player presses keys at the correct time and energy is lost when they don’t. The neurofeedback element takes the form of a special ability called Mighty Ray. Mighty Ray is a game character who hides in the scenery; when triggered he turns the player invincible for a short duration while adding a score multiplier to correct key presses. 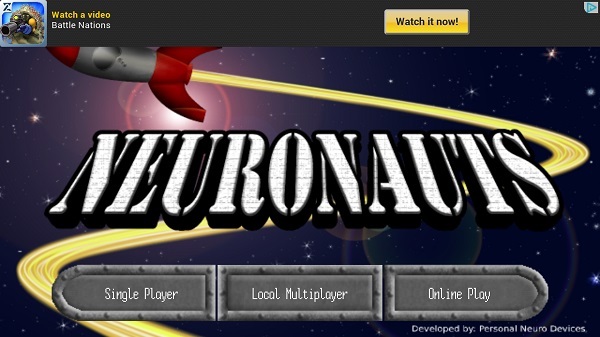 I recently played Neuronauts, a mobile BCI game on Android developed by Personal Neuro. Neuronauts is a spaceship based racing mini-game which uses a combination of motion and BCI input for controls, the later of which is provided by a NeuroSky headset.